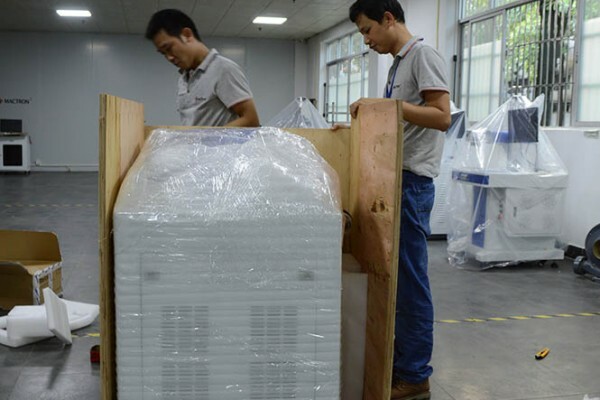 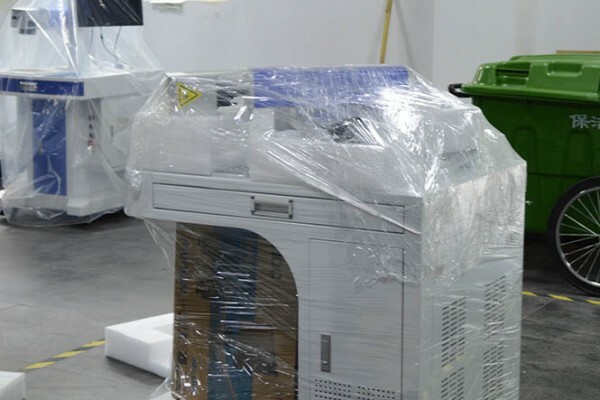 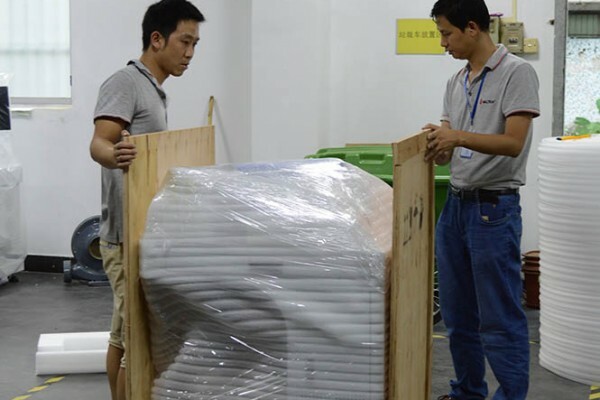 How to ship and pack fiber laser marking machines? 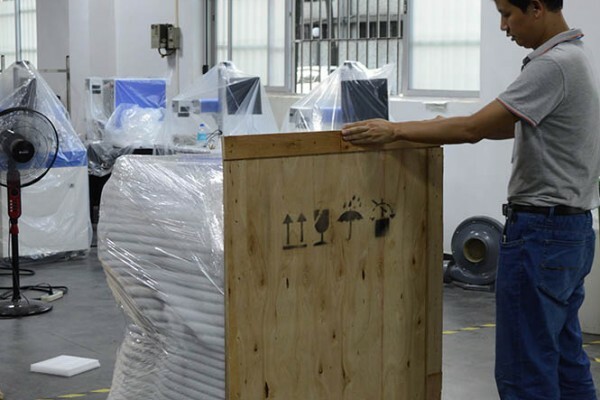 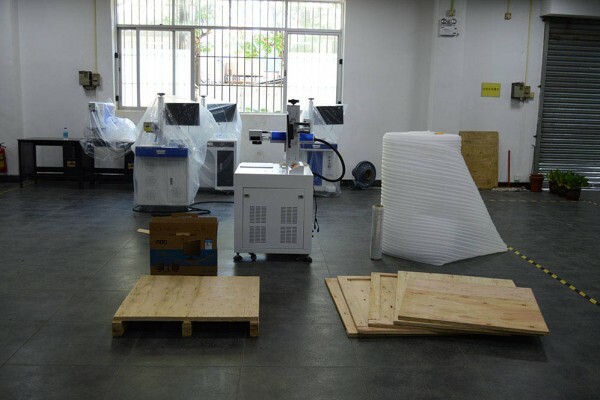 Usually, when a customer decides to buy a fiber laser marking machine or bulk order laser marking machines, there are two shipping choices: one is by air shipping, one is by sea shipment. 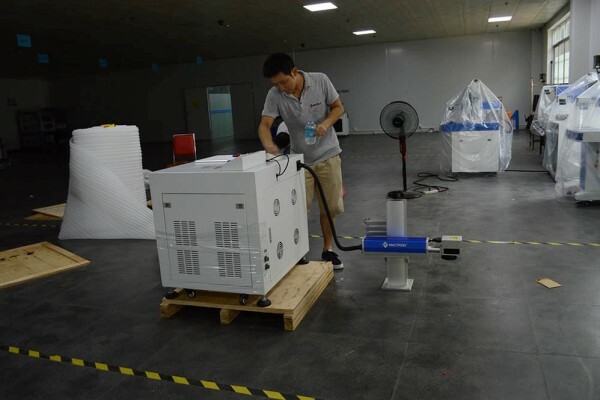 If the customer buys bulk order laser machines, the best choice is sea shipment, although air shipping is faster, air shipping cost is much higher if the goods were in large volume and heavyweights. 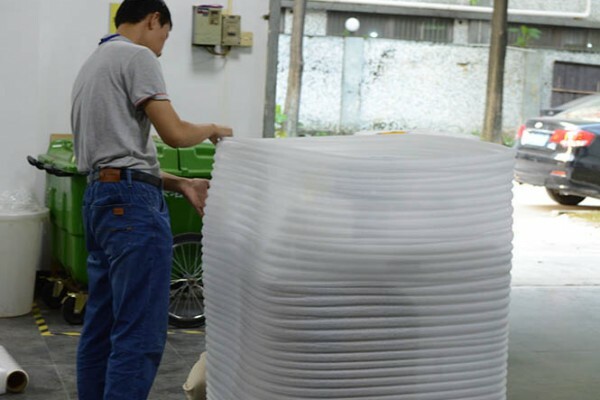 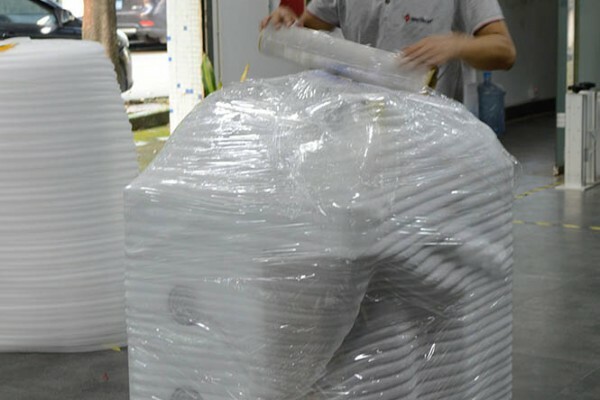 Sea shipment also includes a full container load 20 feet size or 40 feet size(FCL), and less than container loading(LCL), that depends on customers goods volume. 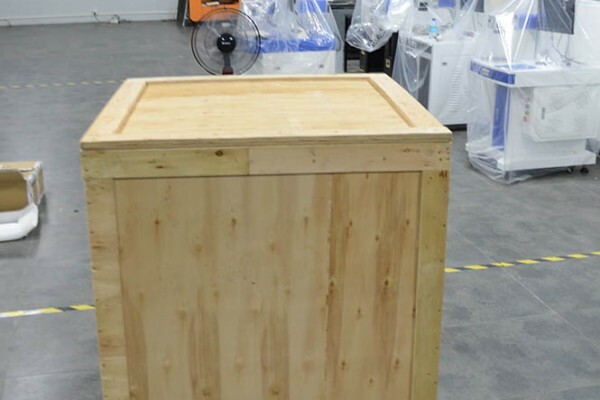 If the volume is only several or less than 15 CBM, LCS is better, if the volume is near 25~28 CBM, then a full 20 feet container is ok; if the volume is around 50~56 CBM, the 40 feet full container by sea shipment is the best. 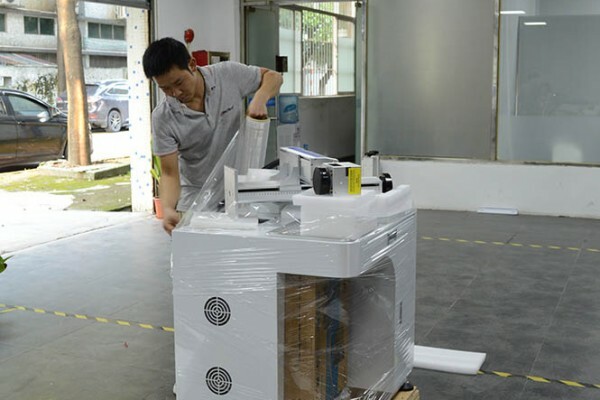 If the customer buys one laser machine, the best suggestion is ship by air express. 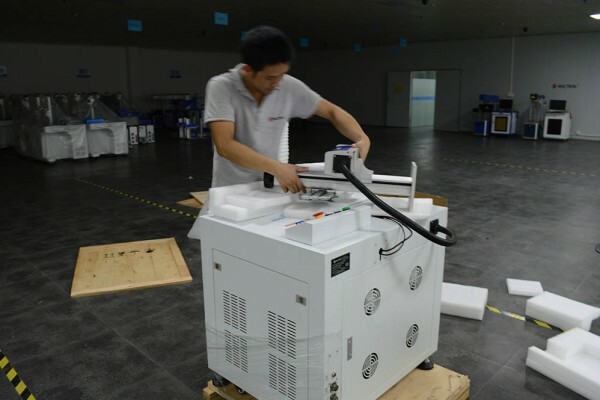 The air shipping cost is ok for one machine and shipping speed is fast. 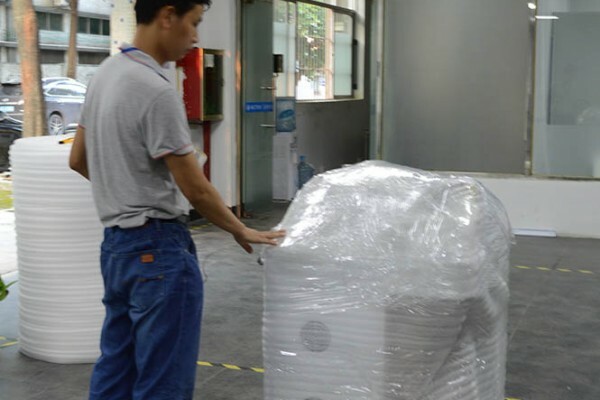 One machine’s volume is much less that is not suitable for sea shipment. 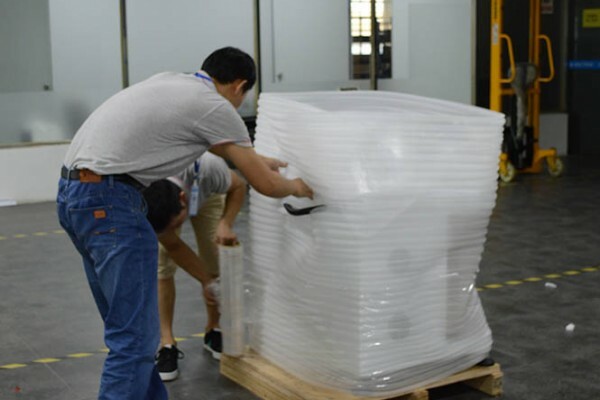 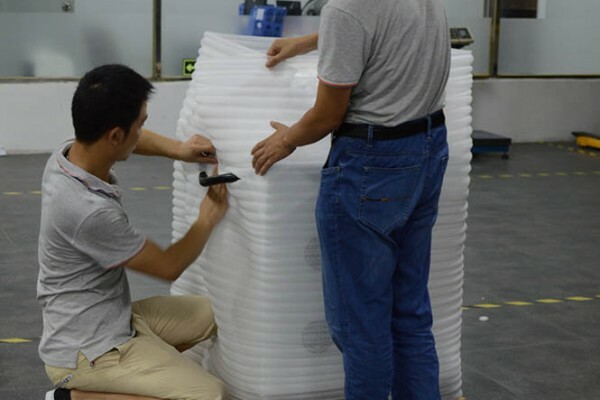 Whether we choose air shipping or sea shipment, to maximum reduce the volume of the package would help save a few shipping cost more or less. 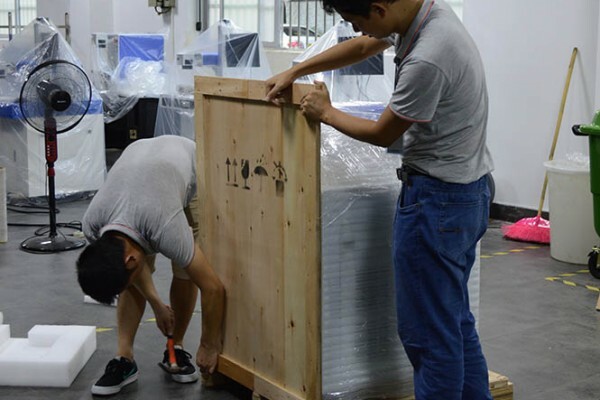 So Let’s see how to pack a fiber laser marking machine in smaller packing volume and keeps it stable in the shipping process. 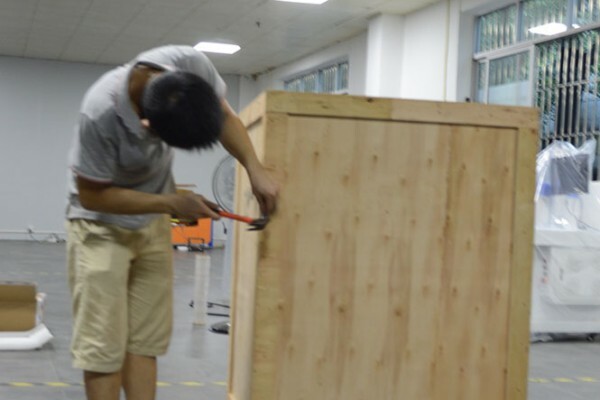 First, we need to prepare some packing materials, that including some wood boards, rolls of pearl wool, rolls of shrink PE film, nails, hammers screwdriver, and some related tools. 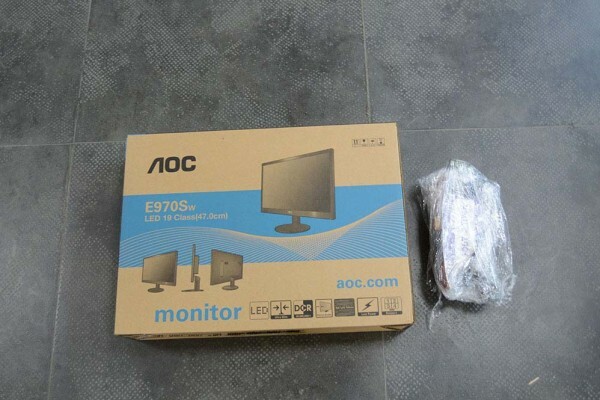 Second, Dispatch the monitor and packed the monitor will dependently. 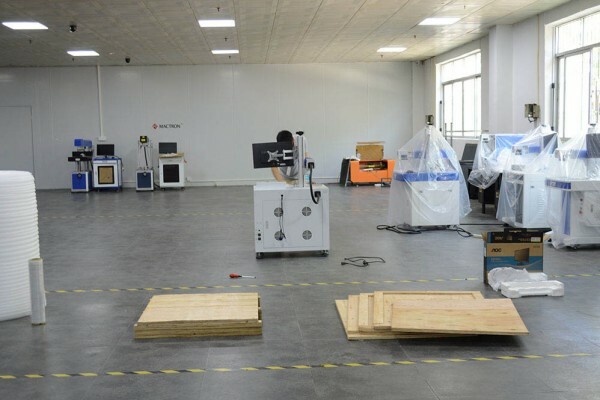 Third, Move and Lift the fiber laser marking machine onto the wood baseboard, and adjust machines in place. 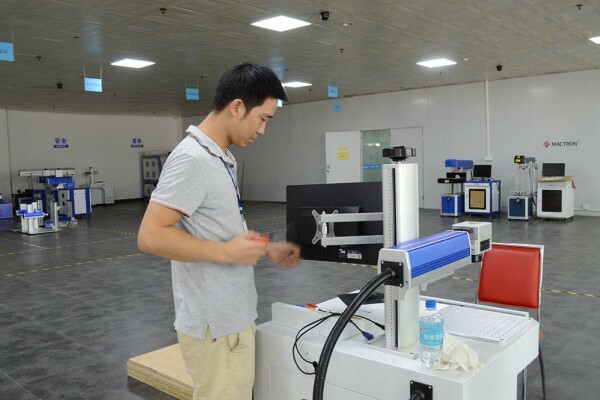 Fourth, after put the machine onto the wood base board, then use the shrink PE Film to bind around the machine and fix well the monitor into left bottom spaces of machine; and then dispatch ruler part of fiber laser marking machine. 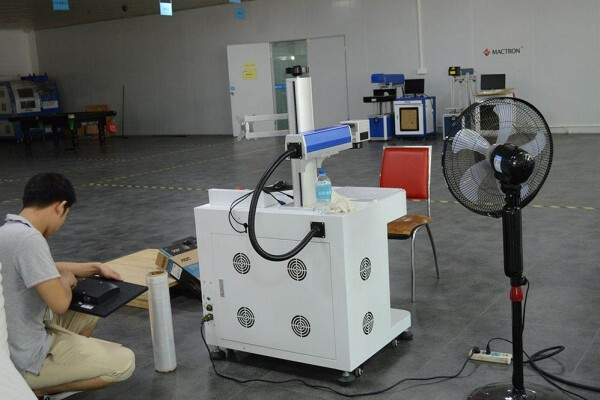 Fifth, Pack well the ruler part on top of fiber laser marker. 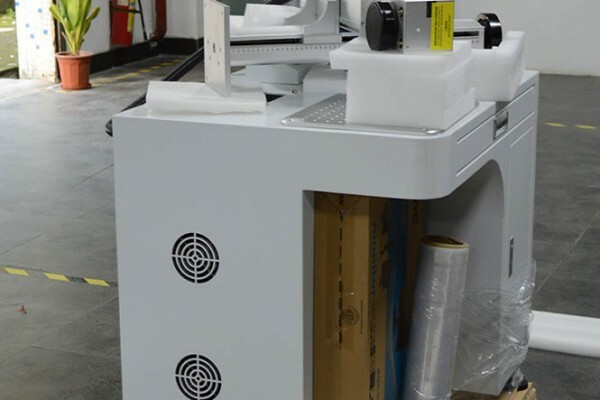 Sixth, Pack and fix well the fiber laser marking machine by shrink film. 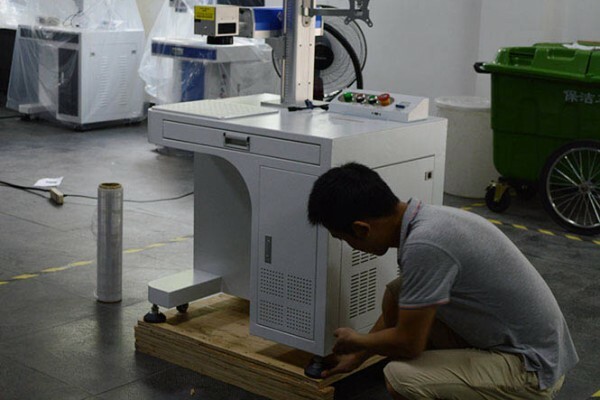 Seventh, Pack the fiber laser marking machine by pearl wool. 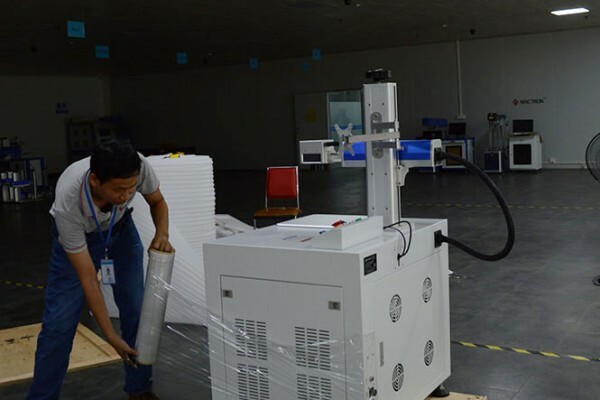 Eighth, Pack the fiber laser marking machine by shrink film again to make the package more fixed and stable. 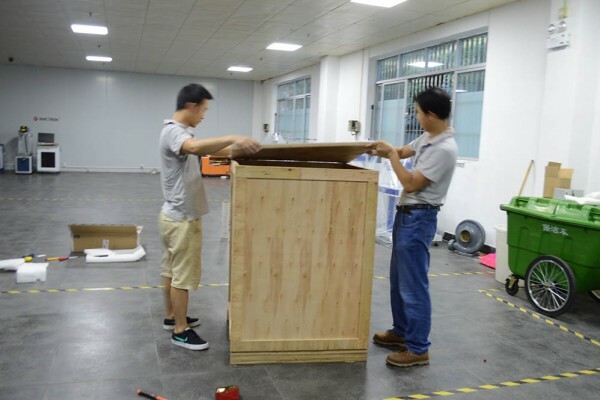 Ninth, Pack the fiber laser marking machine with wood board and wood Box by nails and hammer. 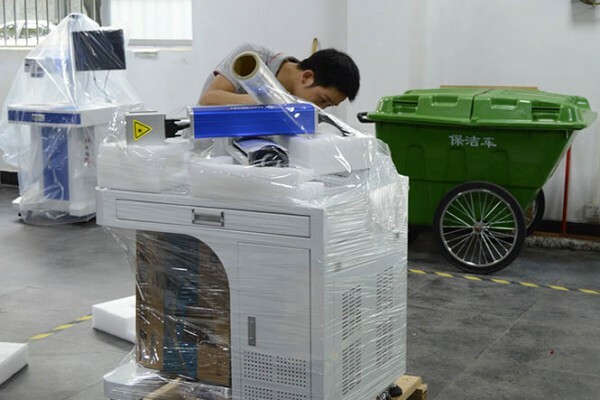 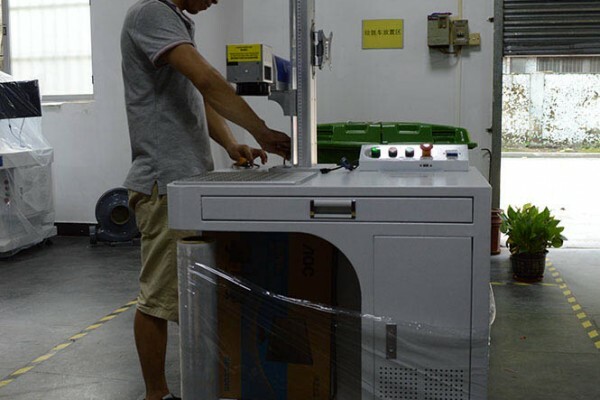 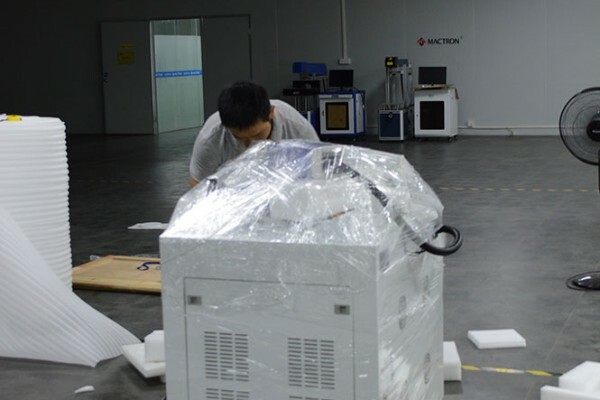 Finally, the packing of a fiber laser marking machine is finished. 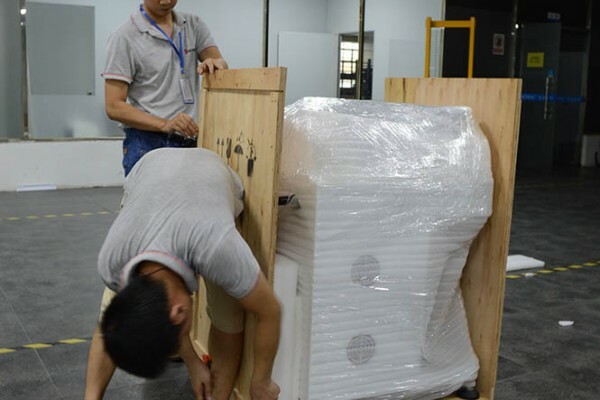 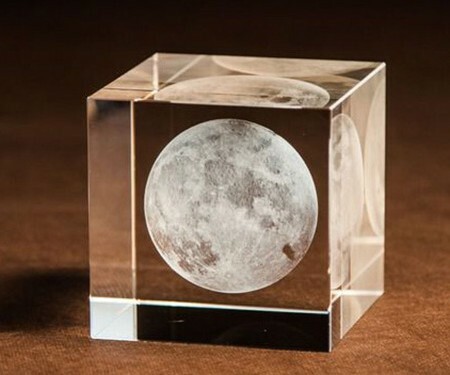 And we will wait for trucks to ship the laser machine package to the airport or sea port for oversea shipping.